I'm in the process of designing a separate/independent safety processor using an Arduino. This would make it easier for most 3D-ers to implement this as they know how to flash Arduinos. - if one of these input parameters is triggered, power to heaters will be cut using a normal (mechanical) relay. - trigger levels can be set in firmware as one is used to for i.e. Marlin. This is a draft of the HW as I have it in mind. Led's should be clearly visible. Once activated the safety processor has to be reset manually. - safety pre check. The process shown by blinking all the leds as it proceeds through overtemp check heaters and signal smoke detector. Only run once at startup. The only place where the relay is activated when all conditions are safe. - If all ok : green led on, red leds off, relay activated. If one condition is true : green led off, according red led on, relay off otherwise repeat main loop check. One could add a piezo beeper too of course. - put an extra thermistor between the fins of the heatsink between the hot end and the extruder. This one will sense when the fan is failing and the temperature of the heatsink is rising above a critical level causing plastic to melt in that area and eventually if the heatsink is mounted on a plastic support melting the support, causing the hot end to fall down on the printed plastic piece, causing that piece to melt and ignite, and ... Liquid plastic behaves like petrol when burning and most of us have a lot of plastic in and near the printer. - Use of a mechanical relay as this requires a minimum power and status/condition is visible if the relay has a clear housing. It is reliable and proven technology. Cool... Looks like something that should have been created long ago. Frankly I would have thought the reprap world would have had this done and inexpensively cloned by the Chinese by now. It is realy a basic safety need for any such device that will run without supervision for what could be extended periods of time. Good work! What smoke sensor are you using an MQ2? I use the unused 100k thermistor from the Keenovo and a 100k thermistor I will mount between the fins of the E3D heatsink. Just some testing of the program and then installing it in the printer. everything seems to work, smoke is detected, overtemp is detected. * Value decreases when temperature increases!! A bit about the setup and the components used in the draft/test version. I had some Arduino Nano's lying around so that choice was easily made. One doesn't need that many input/outputs so this one is a good choice. This one detects smoke, CO2, benzene and alcohol (One shouldn't drive the printer when drinking!). My main requirement was smoke detection so that one is fulfilled. CO2 is also a by-product of a fire. 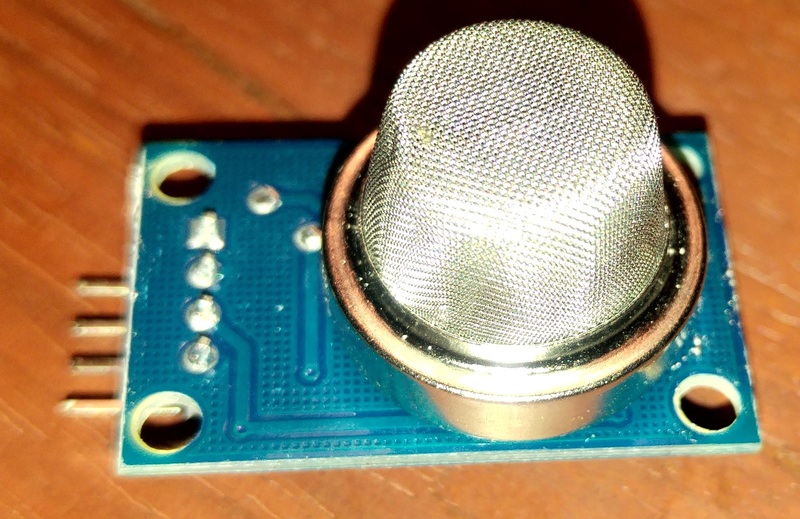 The sensor needs Ground/5V and has an analog and a digital output. I used the analog one in the test, but probably will use the digital one in the final version. To bad Halon is not an option anymore. I could see a simple little fire suppression system being added. The idea seems to work, that's important. I will install it using a small extra 12V power supply. And print some nice stuff to mount everything in the printer. Of course. Did some more testing and added the buzzer. The smoke sensor is quite sensitive for CO2. Output value is around 60 to 70 in normal circumstances and jumps quickly to 100+ when breathing over the sensor. Also smoke triggers nicely. I'll admit, I didn't read through your code. I do not know if this is the way you have it setup but I would suggest saving the sensor readings on startup and allowing a certain amount of change before it alarms. You know, so it will self-adjust to new environments. I'm assuming the limits are hard-coded. If not, please excuse my ignorance. Could be a good idea. For the moment I'm just trying to get some measurement data from the sensor to see how sensitive it is and what levels I'll need. In the sample log above the smoke limit is hardcoded at 100. I want it to be just as sensitive as needed. Don't want to get false alarms = switching heaters off while printing. Any progress in this Walter ? This is something, I think, every printer should have by default, not that there are many 3dprinter related fires, but a good security measure. But the tests were ok and the test setup was stable for more then one week. Like it is conceived now, the printer will not get power until the safety processor has considered everything safe (selftests passed) and if a danger is detected the power is cut, extruder fan remains powered and cause is shown through the LED's. As I'm testing the Safety processor, I'm adding new things and ideas. 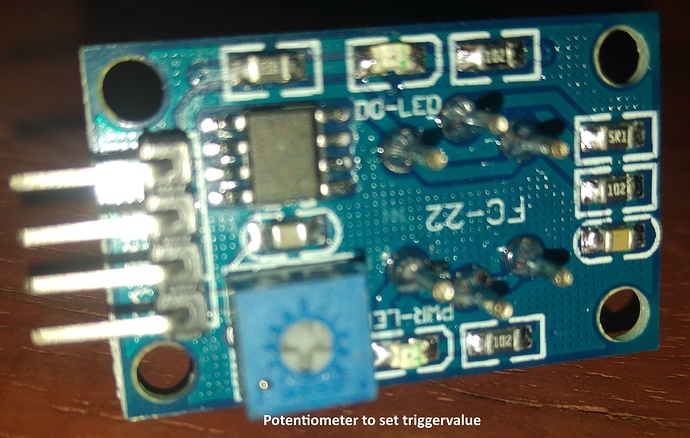 - Since the Safety processor can switch off the printer and will validate power on too, I will add an extra push button to power on/off the printer. Working on it. Pictures, schematics and program will follow. I don't know if it is bad wiring, or connectors being prone to melt ? The concept works. Ordered a small 12V power supply and will then start testing in the printer. The only thing I still have to test is the smoke detector in a higher temperature environment. I would be interested in getting more hours in my day as well. If you find anything, let me know! Hi Walter. I'm interested in replicating this setup for my FT-5. Any more news on it? I'd be interested in a BOM and any other help you may be willing to lend on this subject. sorry for the delay ... been busy these days. - on/off button as the processor is able to switch on and off the mains for security reasons, it can do this too. - Overtemperature heated bed since this is heated with a 750W heater. I already installed small separate (quality) 12V PSU for the controller and a relay to switch on/off mains power to the main power supply and the keenovo. I don't want to overload the safety processor with functions, but since the cycle time (loop) for the detection and action will be relatively high (thinking around 500ms) I could also control the speed of the main cooling fan for the electronics box. 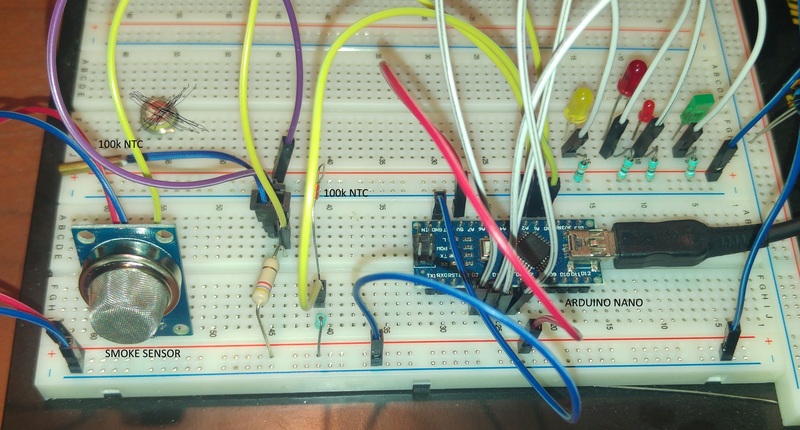 BOM : I don't have a list ready at hand, but in the earlier posts I mentioned the ARDUINO nano (could also be another one), the smoke sensor, the NTC's are the 100k ones that are often used in hotends and heated bed setups, the power supply and the relay I mentioned them in one the 2nd part of my modifications log with some pictures and a close up of the relay. Will still be difficult in the coming weeks. If i send you a case of REDBULL, will that help?